If you want to watch the Vulcan in action tomorrow for free. 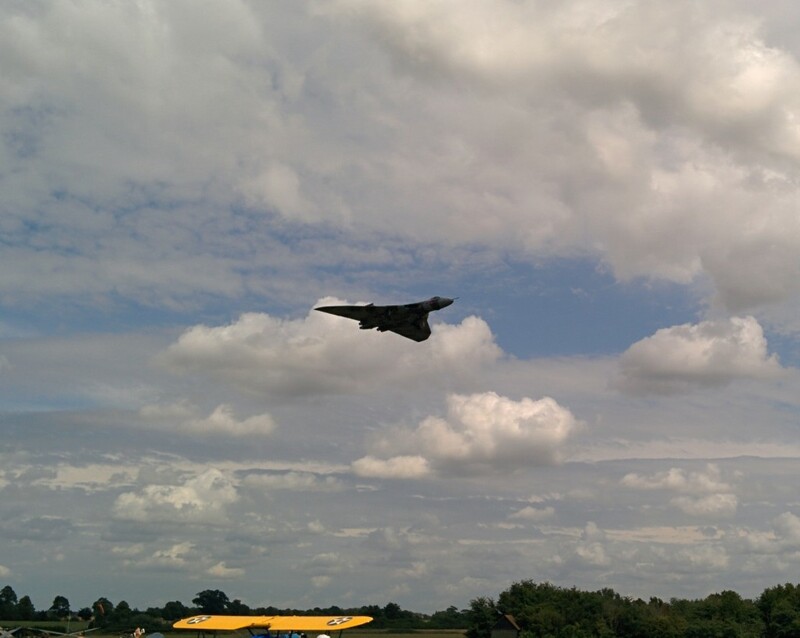 It is displaying at Airbourne 2015 in Eastbourne on Saturday the 15th of August at 14:29. It will also be at Herne Bay and Headcorn (both in Kent) on the same day. There is a great free tracker app for Android and a paid for app on iOS. It might also appear on this flight radar page on its way down from Doncaster. I thought it would be a shame to not see the last Vulcan bomber fly. So we went on a trip to the Shuttleworth collection for an air show in her final flying season. This plane is big. Really big. It’s hard to judge until it comes up close, as it has similar proportions to a fighter. But when it gets to within 100m you can tell it is huge. The sound it makes when it throttles up is loud. It’s quiet when cruising in a straight line. But when it banks, smoke comes out and it sounds like a rocket taking off. Here’s a video where you can hear the howl. Listen out for the car alarms and crying children. The video doesn’t do it justice. It’s much louder in person. I think the Victor is the best looking of the three V-bombers. With the Vulcan a close second. Unfortunately none of them are still flying.